Courtesy of CB Island Homes LLC. 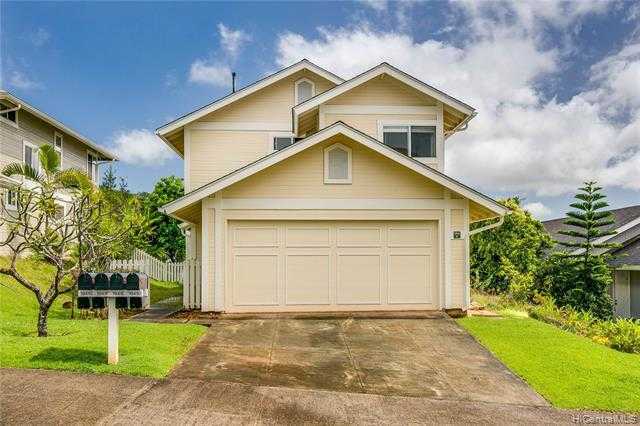 Don't miss the opportunity to own a wonderful Wailuna family home. This three bedroom, two and one half bath home xD; xA;is tastefully updated with modern finishes including a lovely kitchen with granite counter tops and a gas range, xD; xA;plantation shutters, new vanities and faucets in all bathrooms, split AC and crown molding. The attached two car xD; xA;garage, driveway and ample street parking are an added bonus. Enjoy hosting parties in your private, landscaped yard, which is fully fenced for children or pets. Wailuna boasts wonderful amenities, including: two pools, a recreation room, club house, tennis courts and a community playground. The management fees include sewer, water, hurricane insurance and other common expenses. Please, send me more information on this property: MLS# 201910709 – $754,000 – 98-1941 Kaahumanu Street Unit E, Aiea, HI 96701.